I bought a new iPad mini yesterday. That’s after I just bought one last November on launch day for the new smaller iPad – and knowing of course that we’ll see a new iPad mini at some point this year, which will in some way or other be much better than the one I just bought. Sounds a bit crazy right? Well, there’s actually a simple, good reason for the purchase. As I spoke about in my review of the iPad mini, the newest, smallest iPad won me over just about immediately. I knew very early on that the wonderful lightness and form factor of the iPad mini more than compensated for the lack of retina display for me. 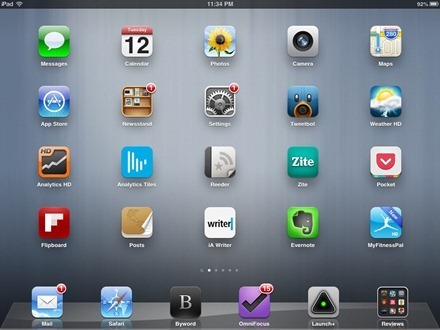 — The iPad mini is by far and away my most used device. 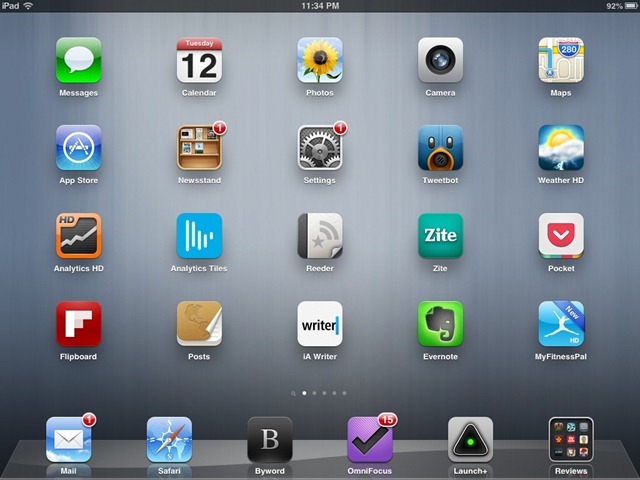 I’d say the usage breakdown for me between the iPad 3 and the iPad mini is about 80-20 in the small tablet’s favor. — 32GB is not enough space for me on the iPad mini. When I was buying the iPad mini back in November my thinking was that 32GB would be plenty, as I had another 64GB on the iPad 3. Over the last couple of months though I’ve struggled to keep a decent amount of free space on the iPad mini – because it has become my go-to device. In the last few weeks I’ve been continually juggling with which apps to keep on the iPad mini, and which books to keep local in iBooks. And trimming my photo library and still seeing very low amounts of available space. So it was time for a new, bigger iPad mini. I stayed with a black model and with Verizon for cellular data – and bumped up to 64GB. This has upped the actual capacity (real, available storage space after iOS and system files) from 28.3GB to 57.5GB. I have the same experience with iPad 2 and needed 64 GB version. Now I want to change it for iPad Mini 64 GB but not sure if I should wait for retina or not. I use iPad also as a Photo Frame let say – to show pictures from my travel to my mom and friends etc. and I’m scarred that if I put pictures to retina iPad, it will take more space inside because it has a bigger resolution and if I’m right, iTunes is adjusting resolution of the pictures by the device resolution to save some space in device etc. Am I right ?